Yes, a foreigner, non-resident, expat, or traveler can open a bank account in the US. However, the process is not as easy as it used to be and requires patience and planning. According to the Civil Rights Act of 1964, banks and private institutions can contract with foreigners but unfortunately, many banks rule it an unsafe option and avoid it while only a few banks have this as a valid option. 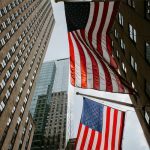 After 9/11, the Patriot Act set strict regulations for foreigners opening accounts in the US banks to avoid money laundering and terrorism problems. All banks must follow these guidelines to verify the individual’s identity. Regardless, the requirements change slightly from one bank to another. Some banks rule that you must have a US-based address, online banks rule you must have an SSN (or an ITIN for a foreigner), and so on. But first, who would need a US bank account? A US bank account can do wonders for businesses! Especially small or medium sized businesses abroad, looking to expand their business. If you have US-based clients or partners, you probably know by now that international transfers can be very expensive. 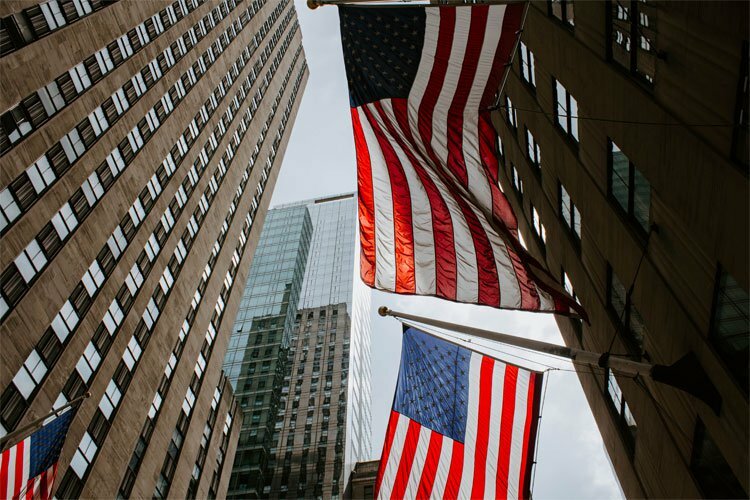 Most US businesses prefer using local methods for their easiness and speed like ACH transfers (direct deposits) or sending checks, so having it would definitely give you a smoother workflow with partners or businesses you deal with in the US. Others that would benefit from it are international students that need quick funding access, tourists, frequent travelers to the US, and even online shoppers. Many online stores only accept US bank options, shopping online with a US bank account is a lot easier than using an international account to avoid extra fees and currency exchange problems. How to open a US bank online account? There is more than one way to get this done; each has its set of pros and cons. These options are opening a US bank online account, going to the US to open an account, or trying to open an account with an international bank that has a branch in your country. This is probably the least used solution because it is the longest process and your account may still be disapproved insufficient identity verification. Banks like Citibank, Chase, Bank of America and Silicon Valley Bank offer online bank accounts or online banking services. However, each bank has its own set of conditions so it will be best to contact the bank and find out what documents need to be submitted then you can email or fax them. There is one common factor when setting up bank accounts online, and that is having an ITIN (Individual Taxpayer Identification Number). This, in addition to other identification (like your passport, proof of residency…etc.) will boost your chances of getting accepted. None of these banks are guaranteed to have you open a bank account in the US, but it’s worth a try. If the bank has a branch in your country, going directly to the bank is your second best option. These banks have branches inside and outside of the US like HSBC or Barclays. If possible, head to your local branch and inquire what needs to be done. You will either need to verify your identification and funds with the local branch if the US branch approves this, if not, you may be required to go to the US to get it done. Many businessmen seek this option to get their accounts open before traveling to the US. In the end, going to the US to get your bank set up is your best option. This is the third and most common option to get your US bank account. It’s common because it is the easiest and the most guaranteed to get approved and running. 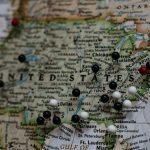 If you have the funds to travel and have US-based clients, moving to the US is what you need to do. Certain banks can get this done for you quickly without much trouble and are well known for their foreign policy, like Wells Fargo or Citibank. Let’s go through the common requirements you should follow to open your account as soon as possible. What requirements do you need? For the bank to be able to trust you, security measures have been heightened. Some banks will even require a background check before approving your account. You will need to verify your identity, reliability, residency, and business. For businessmen, it is easier to set a bank account for your business if you have the required documents and approval. Please find below a list of all the requirements needed to open an account. Two forms of valid photo ID: Your passport is a must + secondary form of ID like your student ID, driver’s license… etc. EIN (Employer Identification Number): This is a number assigned to you (foreign business) by the IRS, you need it to open a business in the US or open a bank account. US address: Most, if not all, banks require a physical US address to open a bank account; we’ll later discuss how to get one without necessarily being a US resident. Initial Deposit: Every bank requires you to have a minimum deposit in your account (the amount varies from one bank to another), it can be as low as $10 or as high as $100. How to get a US street address? Not having a permanent US address is the biggest problem you’ll face when setting a bank account in the US. Banks insist on this term as proof of residency and identity; they need a stable address to use as a mailing and billing address. But if you’re only on a short visit or don’t have a business set up in the US, getting a street address can be expensive. Unfortunately, banks don’t recognize a PO Box address as proof of residency so it must be a street address. Now what? The solution to this dilemma would be getting a virtual street address. 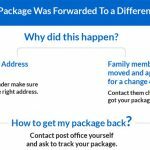 This means you get an actual street address and all its benefits without necessarily needing to be at the address. Confused? Let me try to explain this further. 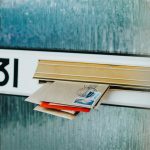 You get to choose from a variety of addresses available nationwide, it can be used as your personal address or business address. You’ll not only have a street address but a mailbox too for all your mail within the US. 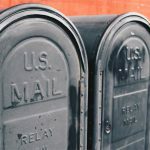 All your US clients, investors, partners, and the bank will be able to send all your mail to your virtual mailbox. Your mail will arrive at a secure mail facility; the envelopes will be scanned and uploaded to your online mailbox. You can log into your mailbox through your phone or computer, wherever you are in the world. Have ultimate control over your mailbox; you’ll easily be able to sort and organize all your business mail. 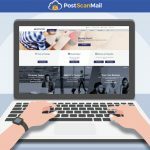 With just a few clicks, you can open & scan, shred, recycle, archive, or download any mail piece. 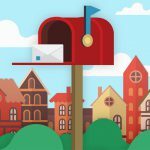 Sign up for your US street address today, get your bank account set up, and enjoy multiple mail benefits too!